It's Larry King! You know, the real Larry Legend -- the guy so famous that all you'd have to do is draw a stick figure with a pair of glasses and suspenders, and you'd know it was him. Otherwise you know him from Larry King Live, CNN's most watched show ever that ended in 2010 after a remarkable 25-year run. Larry's pretty much interviewed everyone over his 60 years in broadcasting: actors, world leaders, superstar athletes, UFO experts, even Eleanor Roosevelt. Prior to his CNN show, Larry did a bunch of different things in broadcasting: he had a nightly radio show on the Mutual Broadcasting System that ran for many years. Larry was also a sports color man for the Miami Dolphins during their perfect season. But interviewing has been the main thing that has held together his career. For this episode, Jesse visited Larry King at his palatial home in Beverly Hills. They sat in his trophy room, literally surrounded by bookcases full of Emmy awards and letters from U.S. presidents. Despite his rise to celebrity from humble beginnings in Brooklyn, Larry has always considered himself an every man. He explains to Jesse why being "dumb" -- knowing relatively little about his subjects and asking them simple, obvious questions -- has been his greatest asset as an interviewer. Very much a creature of live broadcasting, he loves the thrill of going into an interview cold and not knowing what's going to happen next. Larry's a natural storyteller, and he tells Jesse about what it was like to interview guys like Richard Nixon and Frank Sinatra. He gets introspective too, talking about both his proudest accomplishments and deepest regrets, as well as his biggest fear: death. You can catch Larry still doing his thing after 60 years on his new show Larry King Now, available on Ora TV and Hulu. Marc Maron is a standup comedian, actor, and host of one of the biggest podcasts ever: WTF with Marc Maron. 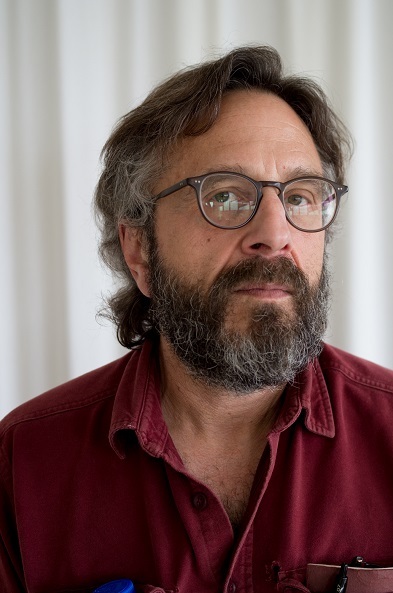 Recording in his garage in Highland Park, Los Angeles, Maron has long, free-wheeling conversations with every kind of famous person you can think of, from comedians, to actors, to musicians -- even President Barack Obama when he was still in the White House. When you listen to WTF, though, you aren't just listening for the guest. Maron has a big personality, and it shows in his interviews. He's not rattling off a list of questions, but instead he's having a really intimate and revealing conversation. It doesn't always go great, but it always reveals a lot about the guest, even if they aren't into it. Marc and Jesse talk about what it's like recording his very popular show in his garage, his tactics for getting people to open up to him, and the differences between his standup and podcast personas. They also discuss two very different people who loom large in their consciousness: Terry Gross and Chris Hardwick. Marc's podcast WTF with Marc Maron comes out twice a week. He also has a book called Waiting for the Punch coming out this fall. New to The Turnaround? Subscribe in Apple Podcasts or with your favorite podcatcher to make sure you automatically get two new interviews a week through August 18th. Susan Orlean has been a journalist for over 30 years, writing for publications like The Rolling Stone and Vogue. In 1992 she was made a staff writer at The New Yorker and has been contributing ever since. She has also written eight books. One of them, The Orchid Thief, was the basis of Adaptation, Charlie Kaufman's 2002 film starring Nicholas Cage and Meryl Streep. Susan talks to Jesse about how some of her best pieces start as one thing and end up as another, especially once she begins talking to living, breathing human beings. She did just that in her 1994 piece about disgraced figure skater Tonya Harding, which she wrote by talking to locals in Harding's hometown of Clackamas, Oregon. She also shares about her experiences interviewing celebrities, including the valuable lesson she learned when profiling Tom Hanks for Rolling Stone. 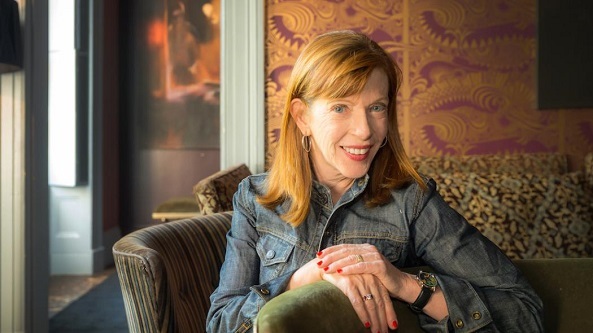 Visit Susan Orlean's website to learn more about her work, including the many articles and books she's written. 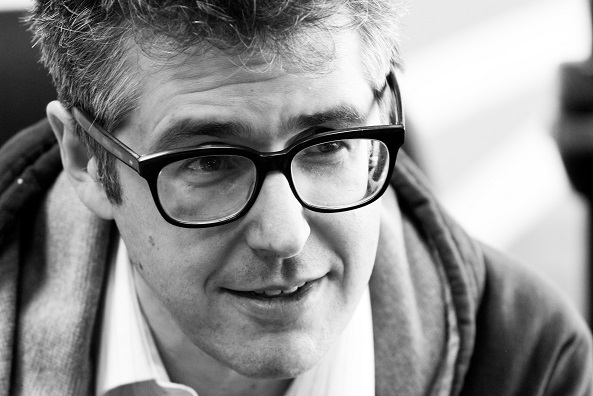 On the premiere episode of The Turnaround, Jesse talks to Ira Glass, the host and creator of This American Life from WBEZ. This American Life has been on the air since 1995. For more than twenty years, Ira and his fellow producers have helped pioneer a distinctive narrative-driven brand of audio journalism that's become so influential that it's now heard pretty much everywhere. In his conversation with Jesse, Ira explains how he asks questions of people in such a way to draw out a story with a clear beginning, middle, and end. He says he chases after authenticity in his interviews, which sometimes gives way to the kind of emotional moments usually reserved for close friends and relatives. Visit This American Life's website for new and archived episodes of the show.